COLUMBUS — Authorities responding to a report of a shooter at a Columbus high school say they arrested a student and took a gun, and no one was hurt. Police say Adan Abdullahi was charged with improperly discharging a firearm in a school safety zone following Friday’s incident. Authorities say additional charges could be filed later. The 18-year-old Abdullahi didn’t appear in online court records and it was unclear if an attorney had been appointed yet to represent him. The school is several miles south of downtown Columbus and describes itself as designed to serve “emotionally disturbed” students in grades six to 12. Police Chief Kim Jacobs says initial information indicated a school employee talked with and helped calm the armed male, later identified as Abdullahi. DAYTON — An Ohio Air Force base is providing shelter for military aircraft leaving the south because of Hurricane Irma. Wright-Patterson Air Force Base in Dayton says at least 20 planes were expected to land at the base Friday. The base says the planes include six F-15s from the 125th Fighter Wing out of Jacksonville, Florida, Air National Guard Base and eight P-8s and six P-3s from the Patrol Squadron Thirty out of Naval Air Station Jacksonville. The base says it’s also expecting three C-17s from the 437th Airlift Wing at Charleston Air Force Base, South Carolina. EUCLID — A police union in a Cleveland suburb is asking the city to reinstate a white police officer and expunge any record of his suspension after he was recorded repeatedly punching a black man. Cleveland.com reports Officer Michael Amiott and a union representative will meet with Euclid Mayor Kristen Gail next week to discuss the grievances. Amiott was initially suspended 15 days for the Aug. 12 encounter. The mayor announced a 30-day extension last week. A video viewed millions of times on Facebook shows Amiott punching 25-year-old Richard Hubbard III more than a dozen times and hitting his head on pavement several times after Amiott stopped him for a suspended driver’s license. If the union and city cannot agree on Amiott’s grievances, an arbitrator will be brought in. AKRON — Charges have been dropped against the nephew of an Ohio police chief who abruptly resigned last month in part due to allegations of misconduct relating to the investigation of his nephew. The Akron Beacon Journal reports that a judge dismissed charges against 41-year-old Joseph Nice at the request of a special prosecutor handling the case. He had been accused of theft, forgery and evidence tampering. The prosecutor declined to comment on why the charges were dropped. A lawyer for Nice’s uncle, James Nice, has denied that the former Akron police chief meddled in his nephew’s case. He resigned after also being accused of using a racial slur about police officials and having an affair with a member of the department. COLUMBUS — Police are looking for a suspect in the theft of 33 iPads from an Ohio elementary school. Columbus police say the thief entered St. Mary Elementary School south of downtown on Sept. 3 through a window. The suspect made two trips during the robbery, taking a speaker valued at $1,200 and 33 iPads valued at $10,000. STEUBENVILLE — A judge recovering from being shot outside his courthouse has thanked the community, law enforcement, family and friends for their support. Jefferson County Judge Joseph Bruzzese was shot Aug. 21 as he walked from his car to the courthouse in Steubenville. The judge, who was carrying a gun, fired back. A probation officer then shot and killed suspect Nate Richmond. WTOV-TV reports the 65-year-old Bruzzese issued a statement earlier this week thanking the probation officer, courthouse personnel and trauma surgeons and nurses at the Pittsburgh hospital where he was treated. Bruzzese also thanked fellow Jefferson County Judge Michelle Miller, a former nurse who helped him immediately afterward. Bruzzese gave special thanks to his wife, Lisa, for staying by his side for days. 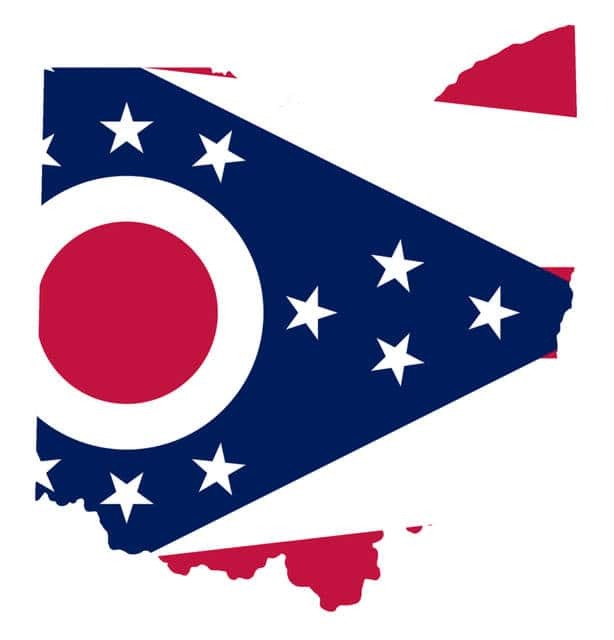 COLUMBUS — Ohio’s governor has ordered that flags be flown at half-staff in honor of the late Harry Meshel, a former state senator and state Democratic party chairman. Meshel died earlier this week at 93 after a long illness. He began his decades-long political career organizing for presidential candidate John F. Kennedy in 1960. Republican Gov. John Kasich ordered flags flown at half-staff on public buildings and grounds throughout Mahoning County and at the Ohio Statehouse from sunrise to sunset Saturday. Meshel was a powerful Youngstown Democrat who served in the state Senate for 22 years, working his way through the leadership ranks to serve as Senate minority leader and president. Meshel resigned in 1993 to lead the Ohio Democratic Party for two years.